The waves made a sonorous and sombre symphony. The ghosts of an immense sadness crashed against the rocks. 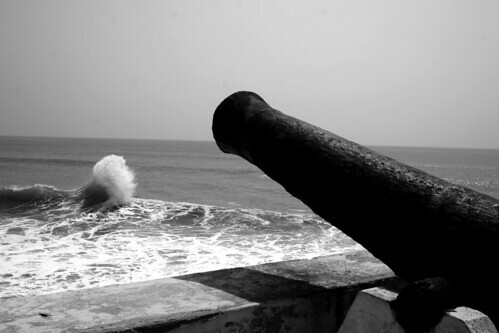 Every now and again, the waves exploded into the air, almost as if the ancient cannons had been brought back to life to fight one more foe..